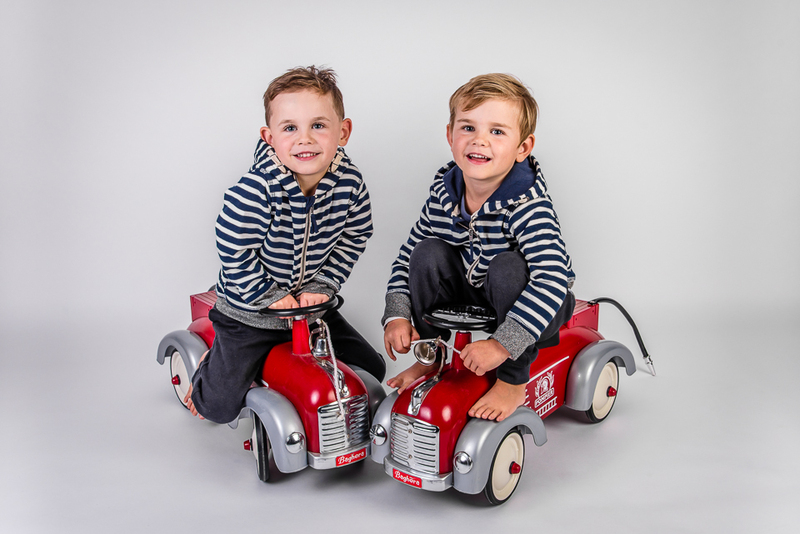 Had a photo shoot today with a set of twin boys and it was a whirlwind of energy, questions and laughs. They have an older brother and sister who are also twins, with all four children having very distinct personalities and looks. All kudos to their parents for always appearing calm and under control. It’s an intangible thing, but having wonderful neighbours adds such a sense of community and belonging. You know you can rely on them, regardless of the situation. 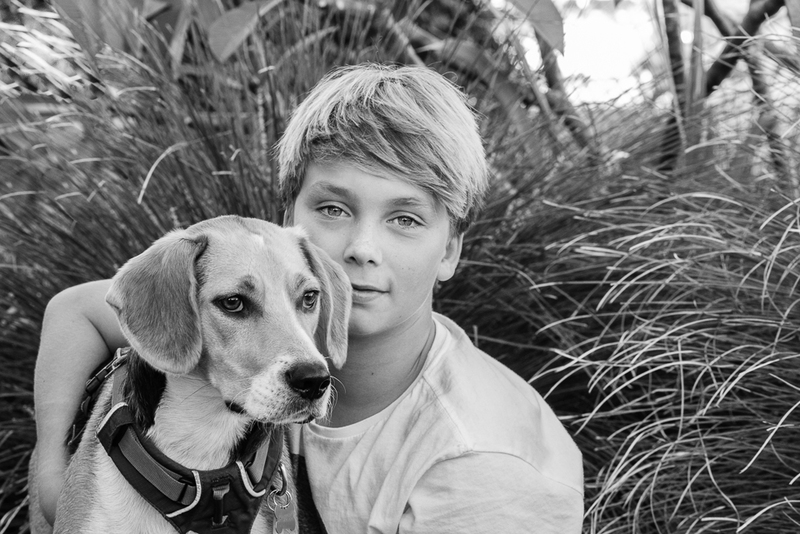 And the added bonus is that all my neighbours have such gorgeous children to photograph! 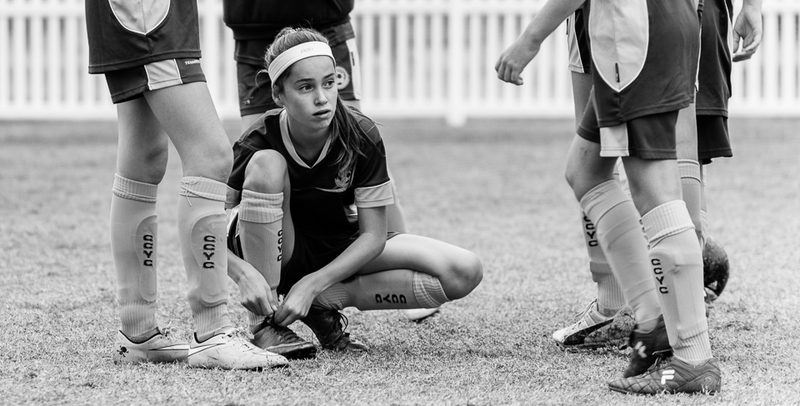 Last minute check of the laces before kickoff. Love watching early morning soccer games in the sprinkling rain and 10 degrees celsius. Even worse when your son is in goals and your heart lurches every time a striker approaches. Got to love overseeing homework and some algebraic inequalities after dinner. Not that I can remember how to solve them, but my children don’t know that. 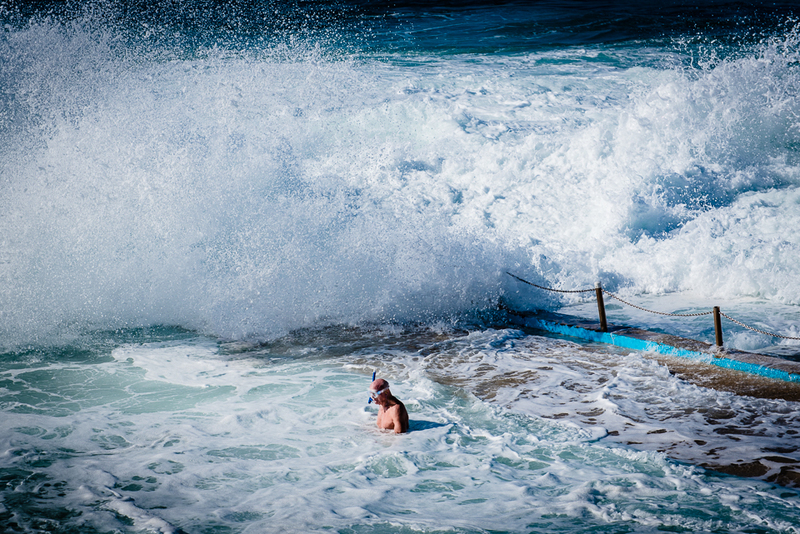 Some huge swell coming thorough Sydney’s beaches today and the surfers are making the most of the big waves. However, I was getting worried about this elderly man trying to swim laps at Dee Why pool. He was continually being swamped and was having difficulty getting to the edge. Luckily he came prepared with his snorkel. Attended a talk this afternoon by the author Anna Funder, as part of the Sydney Writer’s Festival. An excellent venue down at the old wharves at Walsh Bay, with the Sydney Harbour Bridge acting as a stunning backdrop through the windows. One of the reasons we chose to live in Park Slope when we moved to Brooklyn was that friends knew another Aussie expat family living there with young children. Before meeting for dinner one night, I found out ‘Anna’ was actually Anna Funder, the acclaimed author. I had to race out and read her incredibly well researched and written books Stasiland and All That I Am. She didn’t quizz me on my knowledge of her books, but proved to be an articulate, intelligent and witty friend. It was wonderful to share our Aussie insights into the peculiarities of living in NY and the ease of being able to speak the same cultural language. Last day of our holidays so that means an end to sunset & poolside iPhone blips. Normal service will resume tomorrow. Decisions, decisions. The left or the right? So many tough decisions to make on holidays. I’ve obviously gone to great lengths to secure today’s photo. I had to put my book down AND pickup my phone. Don’t know if the rest of the holiday photos will be as strenuous. I’ve been flat out all day. Swimming, reading, napping. We have roused ourselves enough to have a piña cola and watch the sunset. Who knew holidays without children could be so relaxing? An early ferry ride on my way to the airport this morning. My husband has been surfing in Indonesia the last week, so I’ve done a runner from my children and heading over to meet him. The kids have Wi-Fi and food, so shouldn’t even notice I’m gone. Went for a long walk with my parents around Manly today and when I looked at this photo tonight, it reminded me of the old vintage prints from the 1920’s. In that time, ankles were being displayed with reckless abandon on the beach. I wonder what they would make of today’s bikinis.